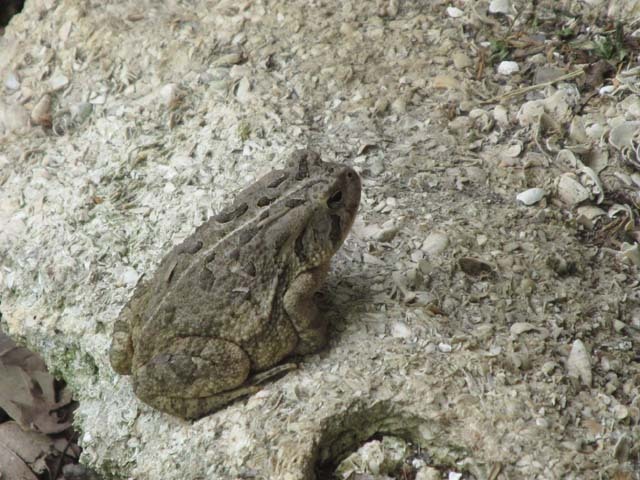 A toad has set up residence near the side door of our house. I occasionally jump when it jumps. Obviously, it does blend in quite well. 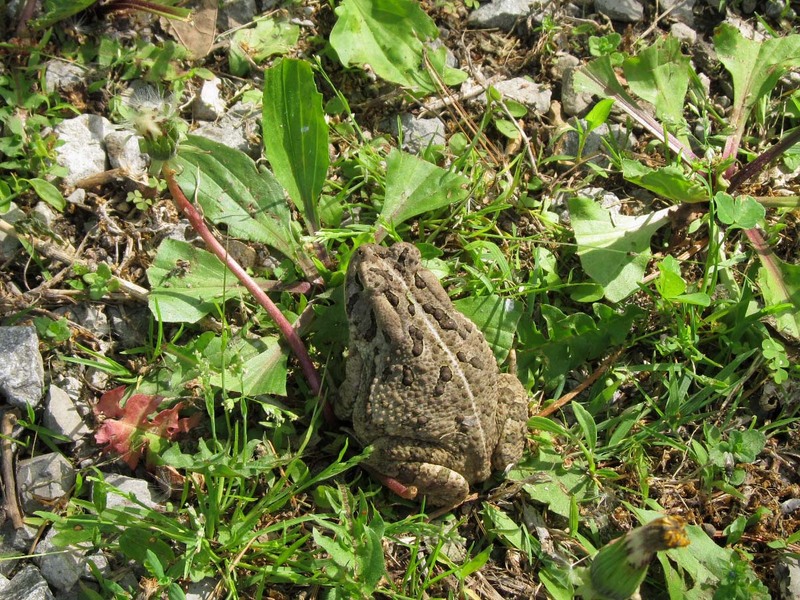 American toads usually spend the day in piles of leaves, under rocks and logs, or in loose soil. I came around the corner of the house this morning — three hops, and it disappeared in the leaves. Mating took place almost 2 months ago. So, it might be checking out the neighborhood. They’re active at dusk, and feed at night on insects and earthworms. 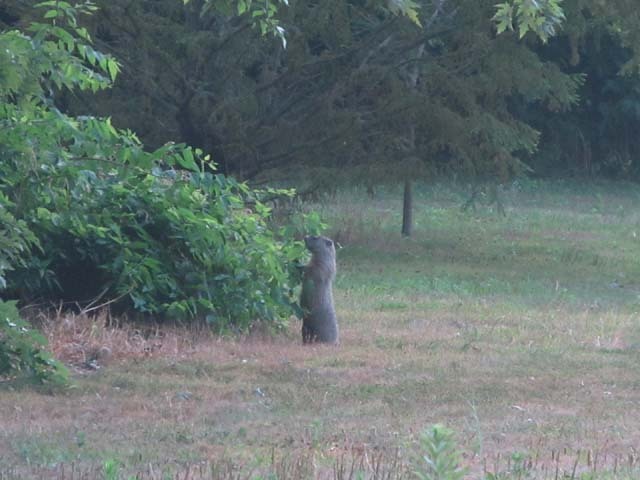 Since the foxes moved on, the only mammal feeding in the backyard has been rabbits. Not early this morning. 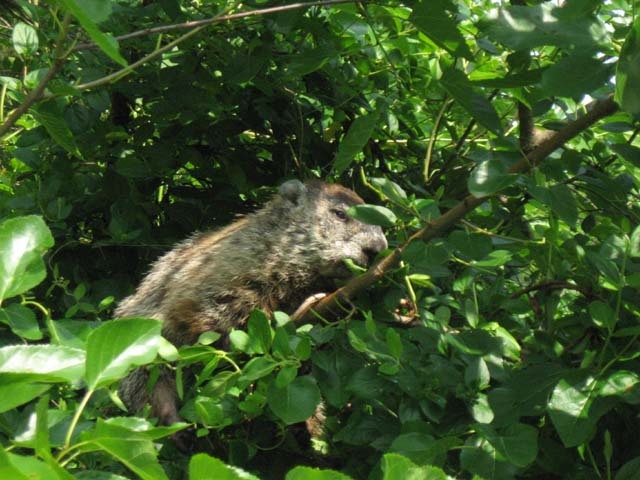 The groundhog obviously found this cluster of resprouting trees quite appetizing. 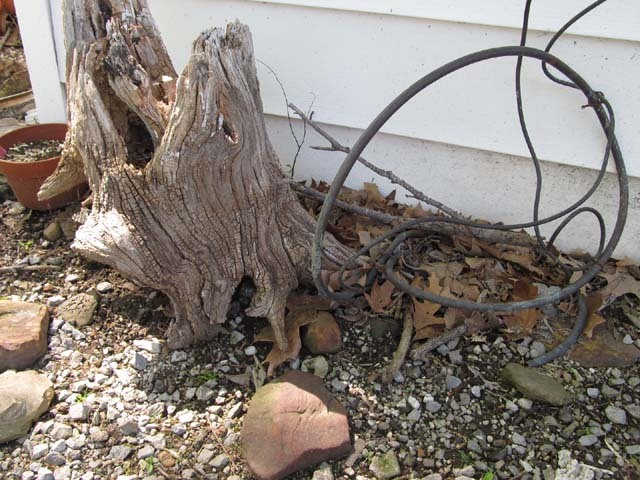 It would pull a stem out and strip the leaves, just munching away. 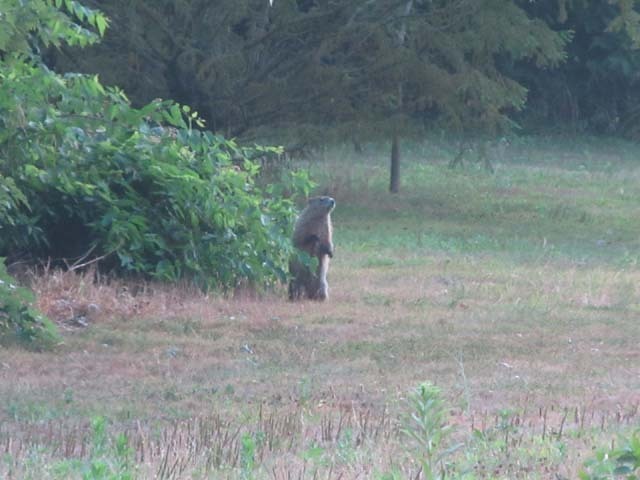 We’ve had groundhogs under the barn over the years, usually in late spring, and just for a short time. I would plant flowers during the day. The plants would be gone the next day. The ground hogs would run under the barn if I caught them out. 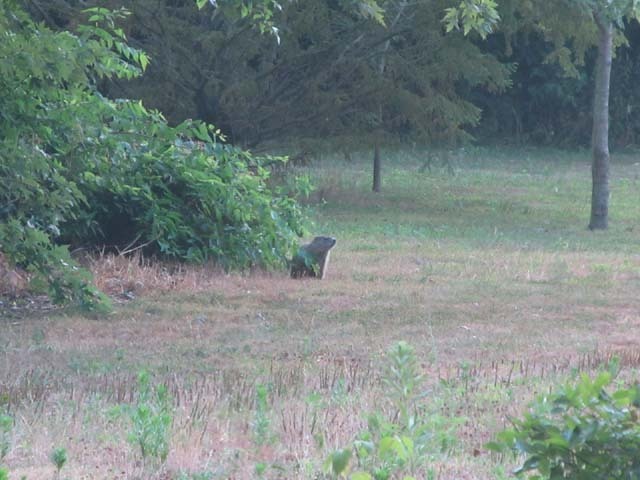 In the summer groundhogs (also called woodchucks) are active early morning and another hour later in the afternoon. The rest of their time is spent in their burrows. Apparently they use strip mines across Illinois for their burrows. Just so happens we have one behind our house. All we see of it from our house is a pine-covered hill. 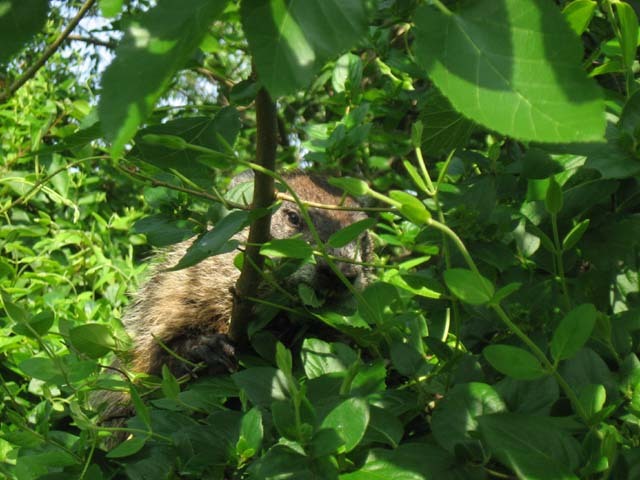 Groundhogs don’t usually climb trees. Buffy and I rounded the corner of the weed patch last summer and caught this young one out in the open. It went up the nearest possible place to hide. I took several pictures. It never moved. Buffy kept standing on her hind legs, trying to reach it, giving me looks like I should help her.